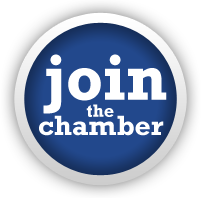 While we are the King Chamber of Commerce and are located in the heart of King, we take great pride in working to help businesses throughout Stokes County! Our county is blessed with amazing natural beauty and lots of great local businesses. Government: Stokes County operates with a Commissioners-Manager form of government. Commissioners are elected to 4-year terms. Administration is handled by the County Manager, who is appointed by the commissioners. Commissioners meetings are held at 1:30 pm on the second Monday and at 6:30 pm on the fourth Monday of each month in the Council Chambers at the Ronald Reagan Memorial Building at the Stokes County Government Center in Danbury (1014 Main Street, Danbury) or in other designated locations. A driver's license is required of any person driving a motor vehicle. The minimum age for a driver's license is 16 with a valid Driver's Education certificate indicating completion of a Driver's Education program. New residents are required to obtain an NC license 30 days after moving to the state. Handbooks of NC traffic laws and other information may be obtained free at the DMV, 3637 North Patterson Avenue, Winston-Salem (336-761-2259) from 8:00 am to 5:00 pm, Monday through Friday. To register a vehicle and obtain state license tags, contact the NC Motor Vehicle Plate Agency and License Bureau at 1014 Highway 65, Rural Hall (336-969-2814) or 329 Main Street, Walnut Cove (336-591-7182). The vehicle must be inspected prior to the registration and must show an inspection sticker as evidence of this inspection. Ownership liability insurance is required to register a motor vehicle in NC. Vehicles must be registered within 30 days of moving to NC.